I see a lot of folks buy them based on misguided advice or just simply for the wrong reasons. These decisions should ideally be based on how they use the boat, plan to use the boat & how they plan charge and care for the bank.. While many folks do buy them for the right reasons, many don't. AGM's definitely have some great benefits but are expensive and are, as we've learned over the last 17+ years in the marine market place, arguably a bit less tolerant of abuse than deep cycle flooded batteries. FACT: All lead acid batteries sulfate regardless of AGM, GEL or Flooded. #4 Bought them for the claimed longer life then mooring sailed them and murdered them in 4 seasons. The previous flooded batteries had lasted 7 years in the same application. Longer Life Benefit = ? #7 "The guy at West Marine said they were the best." The owner then proceeded to fry two stock alternators and finally had to break down buy a fully gourmet charging system for another 1.3k. Previous flooded bank on dumb regulated alternator had lasted six years and cost $300.00. AGM bank = $1000.00 + $1300.00 for the alternator & regulator installation. $2300.00 vs. $300.00 and he really was not looking for any benefits from the AGM's when I asked. I'll be surprised if he gets 6 years out of the Deka/WM AGM's (only on year two now) EDIT: 10/02/14 Asked by owner to test batteries - bank dead. Best at shrinking the wallet = ??? What do all the above scenarios have in common? The AGM batteries were chosen for the wrong reasons and then murdered by not caring for them properly. If you are going to be a battery murderer buy inexpensive flooded batteries and just accept replacing them aver 2-5 years. I see and work on lots of world cruising boats, it's what I do for a living. I also work on lots of boats left sitting on moorings, it's Maine, and the only thing I have discovered is that AGM's do not like to sit discharged, as world cruising or mooring sailed boats often do. Flooded batteries also don't like this, but they put a much smaller dent in your wallet when you abuse them. While AGM's can seem to tolerate this less so than flooded or GEL batteries all these batteries sulfate. The big difference between flooded and AGM is that flooded deep cycle batteries can be regular equalized and only one brand of AGM can be. One of the reasons AGM's get a bad rap on cycle life is because there are far too many cheap AGM batteries sold that are NOT a deep cycle AGM product. The sheer fact that crappy AGM's are often lumped in with premium AGM's in the same breath in unfair to the premium deep cycle brands. Not all AGM batteries are created equally, tohg the average AGM buyer seems to think they are. There are Yugo AGM's and there are Lexus AGM's. The vast majority of sailors and boaters I see with AGM's purchase AGM batteries at closer to the Yugo end of the quality spectrum. I have seen far to many expensive AGM banks die well before 3-5 years or seasons use because they were not installed as a system. Can you do a drop-in replacement with AGM batteries? Sure, but you will not get optimum cycle life if you do. Nearly every boater I've met with AGM's has bought them for their ability to take a fast charge then fed them with a diminutive alternator & charging system that took no advantage of the high acceptance rates (see wrong reason #1). I have personally seen a 100 Ah Lifeline take 85 amps for more than just a few minutes (it was very deeply discharge). That is a 0.85C charge rate. "C" is capacity in Ah's and 85 is the acceptance percentage of the 20 hour rating, meaning the batteries are taking 85% of "C" or the 20 hour rated capacity. This is 85A for a 100 Ah battery. Lifeline states these batteries can take 5C or 500 amps for a 100 amp hour battery for very brief in-rush durations without damage. The average Lifeline battery I have run through testing in my shop can easily take .4C (40A on a 100AH battery or 160A on a 400Ah battery bank) from 50% SOC and will attain voltage limiting/absorption/14.4V at about 70-71% SOC, when new.. This is pretty fast bulk charging and gets 20% of the capacity back quite quickly.. Drop that down to .3C and bulk charging lasts even longer. TPPL AGM's, such as those made by Northstar or Odyssey, will accept slightly more current and do so for a tad bit longer. These are real benefits, if you can take advantage of them. Lifeline does stipulate that these batteries ideally need to be charged at a minimum of 0.2C or 20% of rated Ah capacity or you will shorten the cycle life. They will not however quantify the impact of lower charge rates on cycle life. Dave V., the engineer at Lifeline, published a paper and presented it to his peers back in the 90's on current vs. cycle life. Dave's study found that AGM's do need minimum current thresholds in order to get the most cycle life. In short, higher charging currents do lead to longer cycle life with AGM batteries. Odyssey AGM batteries requre .4C or 40% of Ah capacity in charging current as the minimum. While there are many pieces to the cycle life puzzle this is one that I very often see ignored. So, with a a 600 Ah bank of Lifeline AGM's it needs an alternator or charger capable of supplying a MINIMUM of 120 amps. Considering the hot rating of an alternator drops very quickly once hot, you'd ideally need an alternator in the 160A range to satisfy this "minimum" 120A threshold for charging to satisfy 0.2C on a 600Ah bank. Would short life of this bank be the blame of the AGM battery or the improper charging system feeding it? FACT: A healthy Lifeline AGM battery will remain in bulk charging for approx 1:15 +/- at a .2C charge rate from 50% SOC. It means your alternator will be running at FULL OUTPUT for approx one hour and 15 minutes! Go take your car and hold the gas pedal to the floor for 1:15 minutes and see how it responds. Now repeat this over, and over and over. My point here is that your system needs to be designed for AGM batteries. "Lifeline® batteries can tolerate in-rush current levels as high as 5C (500A for a 100Ah battery)." I find this statement both amusing and misleading. This in-rush will be very, very short in duration and does not mean a 100Ah Lifeline battery will charge at anywhere near 500A as many people assume that statement to mean. It's called marketing... While true, the key words most gloss over are "in-rush"...! This in-rush will be measured in seconds before the battery attains absorption voltage where it will then begin limiting the accepted current. But yes 500A won't blow up a Lifeline battery and it will take it for a very brief period of time before accepted charge current begins declining. Contrast these charge rates with Trojan for example. Trojan ideally wants to see a charge rate of 10-13% or 0.10C - 0.13C for standard charging. For fast charging they say that 0.2C (20% of capacity) is fine. On a 450 Ah bank .2C is 90 amps acceptance for a Trojan wet cell on "fast charge". Most sailors with small aux engines don't have more than 90-100 amps of alternator, or the belt to drive it. If you charged a bank of Lifeline's at .85 C you need a 380 amp alternator to take full advantage of the batteries initial bulk acceptance but more realistically a charge source of .3C to .4C would be better optimized. Of course even at .4C you will only be in "bulk" for approx 20% - 25% of the charge cycle, if you started at 50% DOD..... Confused yet...? Sadly I have yet to see many boat owners truly take advantage of the actual acceptance rates on AGM banks. With typical bank sizes of 400 - 800Ah's, you'd need a HUGE alternator, or two, or a huge charger to do so. Small sailboat AUX engines just can't do this very well with serious alternator upgrades.. Even a 400 Ah bank would be accepting 160A at .4C for approx 20 minutes of the charge cycle, if you discharged to 50% SOC.. Most boaters can't even come close to providing the batteries 160A even for just 20 minutes. Of course I also see many boaters PSOC cycle their AGM's and essentially ruin the high acceptance rate duration making them look very similar in current acceptance to flooded batteries due to sulfation damage. PSOC use also murders flooded batteries and the resulting sulfation extends the time it takes to attain 100% SOC. PSOC use murders lead acid batteries! PSOC is partial state of charge operation. This means you discharge the battery and then don't fully recharge it, as happens with alternators, solar and shore chargers via a generator when away from the dock & cruising. Sulfation sets in very rapidly in a PSOC use situation. In as little as 5-10 PSOC cycles, without a full recharge, you can lose a good bit of your your usable capacity, if this continues. I have hundreds & hundreds of hours bench testing & data collection of PSOC operation in AGM batteries (flooded too). This testing was published in the May 2015 & August 2015 issue of Practical Sailor. Suffice it to say you do not want to spend money on expensive lead acid batteries such as AGM and then abuse them by regularly PSOC cycling them. Cheaper flooded batteries will die early too but the hole in your wallet will be considerably less. 14 years ago I replaced four T105's on a local sailboat that had lasted 7 years with a 90 amp dumb regulated alternator (14.6V factory set point). This boat resided on a mooring with no solar or wind. The AGM bank that replaced it cost over $1400.00 and was dead going into the spring of what was to be their fifth season. At the same time we upgraded the batteries, a full gourmet charging system with 150 amp alternator, dual pulleys, MC-612 Balmar regulator, temp sensing etc. etc. on and on was installed. He even bought a maintenance charger that was recommended by Lifeline tech support for the off season. Off season the batteries were stored in his 55 degree basement and cycled on and off the charger to keep them at 100% SOC. The only thing he lacked was solar because he did not like the look of it. This small piece of the cycle life puzzle is what failed him. Despite the expensive charging system he rarely, if ever, got back to 100% SOC and was in effect PSOC cycling his battery bank continually. His max absorption voltage was also lower to match the battery bank at 14.4V. Total cumulative motor run time over the four previous seasons was just over 400 hours. The bank had never been discharged below 60% SOC during these four seasons as monitored by his well calibrated Ah counter. They were simply grave-yard dead well before they should have been and EVERYTHING was done better than he'd done with his simple and inexpensive wet cell bank yet he still got two less years of use. The big difference is he had equalized his flooded batteries twice per year and had a higher absorption voltage. 14 years ago we were told NOT to equalize Lifeline AGM batteries, we can now. Was this the fault of the batteries or the fault of a more complicated cycle life puzzle? Not the fault of the AGM batteries I'm afraid, but a failure to treat them properly. An adequate AGM charging system, for a mooring sailed vessel, will always require solar or wind. Leave this piece of the puzzle out and it gets $$$$$. Neither the flooded bank nor the AGM bank even exceeded 100-125 cycles. It is sulfation that kills these batteries. What did he/we do wrong 14 years ago (late 90's)? We simply needed to get the AGM's back to 100% more often, and solar or wind was the only way to do that for a mooring sailed vessel.. He did not want solar. This made AGM's a poor financial fitment choice for his use. PLEASE, PLEASE, PLEASE if you are considering AGM's read what John has written so you can see what is required takes to get your money's worth out of AGM batteries. His information is spot on and AGM batteries are excellent batteries and they can give long life but the recipe for long life needs to be followed. Please don't misconstrue what I am saying here, there ARE many benefits to AGM's. If you can truly take advantage of these benefits they can definitely be worth it. I still install LOT of AGM batteries, Lifeline, , Northstar, Odyssey and now Firefly among the ones I install most (these days mostly Firefly). These are premium deep cycle AGM batteries not "price point" AGM's. My point here is that most folks I see with AGM's don't truly take advantage of the benefits AGM's have to offer. I just want to promote some real world critical thinking, beyond the marketing hype, before making a decision where you may spend $1000.00+++. In many cases that $1000.00+ may not even be all that necessary once you critically looked at your use, vessel, charging etc.. If you go AGM try and keep them fully charged as best you can and as often as you can or your wallet will ache.. If on a mooring get solar or wind to augment your alternator because an alternator alone, no matter how fancy, will not get them back to 100% SOC on a regular basis. If you can afford a $1300.00 bank you should really try to take care of them in terms of charging. In my opinion, and experience, these banks can all easily go 7+ years. While a few AGM's do exceed the 7-10 year mark, mostly dock sailed boats, the reports I see and hear in talking with customers and other marine systems specialists, are nowhere near an average life of 7-10 years. When I push harder and dig deeper it is almost always due to improper care and improper charging. Let us not forget that when first launched into the marine market they also claimed you could cycle them to 80% DOD, that has now been revised to 50% DOD for normal cycling duty for most AGM batteries. Only Odyssey and Firefly still claim 80% DOD use. Odyssey claims 400 lab cycles to 80% DOD and Firefly over 1000 to 80% DOD. So far the only Flooded, AGM or GEL batteries I have seen really stand up to PSOC use are the Firefly AGM or GEL batteries. I find this to be an interesting quote by Trojan Battery. Generally, GEL and AGM batteries have about 20% less capacity, cost about two times more, and have a shorter cycle life than comparable flooded lead acid batteries. However, Gel and AGM batteries do not need watering, are safer (no acid spilling out), can be placed in a variety of positions, have a slower self-discharge characteristic, and are more efficient in charging and discharging than flooded batteries (see table below). Gel batteries are more suitable for deep cycling applications whereas AGM batteries are more for light cycling and engine-starting applications. Lifeline, Odyssey, Northstar & Firefly I am sure would disagree with that statement, as do I, but it is what it is. EDIT: Trojan has now launched their new Reliant AGM line and I assume will remove that statement. NOTE: Only ratings within a brand / manufacturer are useful. Cross brand cycle life data is useless because there is no industry standard for testing everyone uses. Most all of them are fantasy level data when applied to real world marine use. One needs to look no further than the battles between US Battery Inc. and Trojan Battery on cycle life claims.. Some nasty stuff.. Only in-house manufacturer testing, across their own batteries, can be compared for guidelines between battery types..
*NOTE: I don't personally consider the East/Penn AGM a premium PSOC capable AGM battery. See Practical Sailor May & August 2015. Their GEL batteries however are excellent. All batteries sulfate and one of the reasons some AGM's suffer shorter life is because many AGM brands can not be *equalized. Lifeline's can be, but Deka can not be equalized nor can Odyssey, Northstar, or Firefly. For this reason alone the Lifeline battery represents a good value, despite it being a more expensive battery over a non-premium AGM such as the Deka/East-Penn. *The Firefly AGM is unique in that in order to recover capacity you do not equalize it. You completely discharge it to about 11.5V then recharge to 100%. No equalization is required to regain lost capacity, and this is due to the Carbon Foam design. I am NOT saying don't buy AGM's. I am simply trying to get folks to do some critical thinking about why they are buying them, how you will be using them, how you will be charging them and to do that honestly. Better Charge Efficiency - The ability to store more energy in a shorter time-frame due to less over-charge being required. Installation & Orientation (lay on side etc.) 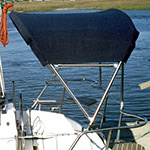 - AGM's can often fit where flooded batteries can not, especially on sailboats. This is usually much more of an issue on smaller vessels than large and folks with smaller vessels often won't spring for AGM's anyway. For about $40.00 in materials one can build a battery platform on just about any vessel. Still the Code of Federal Regulations non-spillable classification makes them a great battery for hard to fit locations. Low self discharge - This is great for boats in hot climates or on moorings. Wets can self discharge at up to 13+% per month in warm weather however I know few boaters who go a month without using the boat at all. Even in a worst case scenario, 13%, in hot weather leaves a full bank still at 87% SOC after a month. Still this can be a good benefit in certain use situations. Self discharge has never been an issue for me so would not be weighed in my own benefit analysis. If you're buying AGM batteries specifically for the low self discharge a small solar panel will eliminate the self discharge issue and cost considerably less than the price difference between a bank of AGM and flooded. Many boaters I know with AGM's already have either solar or wind making the self discharge benefit mostly irrelevant. The majority of boaters in the US are on docks, not moorings, so again self discharge would be of little benefit to them. When off cruising you are using the banks daily and self discharge, is again, a non issue. 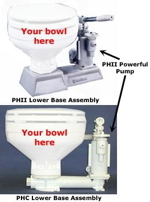 Most boaters have a phantom load such as a bilge pump, stereo memory or LPG detector etc. so there are already loads sucking the battery down that require periodic charging anyway which would take care of any self discharge at the same time. If you don't have solar or wind, are on a mooring, in a hot climate and rarely use your vessel this can certainly be a benefit though adding a small solar panel to wets will be less costly. Low Maintenance - I find this to be a tad over blown. I have yet to work on a vessel where it took me more than 20-30 minutes to add water to batteries or check them and those are the long ones with major access issues. If maintenance is the sole claimed reason for "upgrade", I know a boater who did this for that exact reason, it really is a lot of money to spend. He could have paid a pro to do the maintenance and still pocketed $400.00 to $500.00. Flooded battery cell maintenance gets a little over blown IMHO and experience plus for very little money one can buy hydrocaps if really concerned. On our old boat, even if I gave the water filling a ten minute labor allowance every year, at my $70.00 hourly rate, that is $11.60 worth of labor time. I would have to add water to my batteries 61 times over their life to equal the price premium on my bank to make the move to AGM based on maintenance alone. The Low Maintenance Myth - Consider that Lifeline AGM batteries, for example, are not truly maintenance free. The time it takes to properly "condition" (equalize) them is EIGHT hours at 15.5 volts, temp compensated. You need a charger than can equalize/condition and that is also temp compensated, and you should always be present when doing so. That takes a lot longer than what it takes me to check the electrolyte on most flooded batteries. Some AGM's truly are "maintenance free", meaning you can not equalize or condition charge them, Lifeline's are not but I do consider this a benefit to them... I generally don't recommend AGM's that can't be equalized, other than Odyssey, Northstar or Firefly. Northstar and Odyssey can be charged regularly at 14.7V to 14.8V (always temp compensated) which helps fend off sulfation but they can not be equalized. Firefly can only be charged to 14.4V (always temp compensated) but the carbon foam patented design fends off sulfation amazingly well. Because Lifeline's can be equalized it tends to set them apart but also makes them maintenance batteries, not maintenance free..
How does Lifeline battery weigh in? This quote is from Justin Godber at Lifeline battery on what to expect out of Lifelines based on 4 different use scenarios. 1- Fully charge after each discharge. Estimated life: 6-9 Years. 2- Fully Recharge at least once a week and equalize once a month. Estimated life: 4-6 Years. 3- Only recharge to 85% and equalize once a month. Estimated life: 2-4 years. "Batteries don't die, they are murdered by their owners.". If only charging when cruising get back to 80% + at least with each charge cycle and get to 100% as soon as you can there after. Weekly to 100% as a minimum guideline. Break the batteries in by cycling them deeply a few times and recharging to 100% SOC. Most AGM batteries will come up to full Ah potential in about 3-7 cycles. Flooded batteries take a lot longer 25-50+ cycles. This is another plus/benefit forAGM's. Do not regularly cycle your bank below 50% SOC. The occasional dip to 80% DOD is fine but try to follow that up with a 100% recharge. The less deep you cycle the more cycles you will get. I know many AGM makers initially launched into the market claiming 80% DOD was fine. It was all about $ to Ah to Cycles for marketing purposes against flooded batteries. All but Odyssey have changed their tune on this and 50% is now the max recommended DOD by most all AGM makers. EDIT: Firefly is adamantly suggesting the battery is designed & intended to be used and cycled daily to 80% DOD. I am doing this now on a number of boats and so far the batteries held up to the first season of this abuse. Size your charging or alternator for a bare minimum of at least 20% of bank capacity. Bigger is better but 20% of "C" should be the bare minimum for AGM's. eg: A 400Ah bank should have an alternator capable of at least 100A so that when hot it will still hit the 20% minimum.. Odyssey AGM's (Also Die Hard Platinum which are re-branded Odyssey) want to see a minimum of a .4C charge rate. This is 40A for a 100Ah battery. High charge rates for AGM batteries are yet another piece of the cycle life puzzle than should not be omitted. Dock charging. Leaving AGM's on "constant charge" can be a poor choice for them if your charger is not up to snuff. Many chargers are not as "smart" as they claim. Charge to full then disconnecting is often safer. Use temperature sensing on all charging sources; alternator, battery charger and solar if equipped. Temp sensors need to physically mount to the battery and NOT measure "ambient temps" near the charger or controller. Use smart solar controllers that can be physically custom programmed if possible. With some not so good solar controllers every day begins with a new absorption cycle. If the AGM's are full this can be damaging to the battery because their self discharge is so low.. Proper float voltages are absolutely critical to AGM longevity and must be temp compensated. One size fits all smart chargers that use "egg timer" algorithms are not well suited for AGM use. If a charger does not come standard with a physical external temp sensor, and also allows you to create a custom program, walk away. Most GEL, AGM, WET dip switch chargers are very, very poorly suited to AGM batteries as the three settings rarely if ever line up with your AGM's voltage profile for float and absorption. Use a case mounted alternator temperature probe. AGM's take huge amounts of current and can burn down wimpy alternators when asked to produce full output for hours on end. Use a heavy duty high output alternator capable of running high loads at high temps for long periods of time. Despite marketing attempts to make you believe otherwise, there is no such thing as a constant duty small case alternator. This means you can still fry a heavy duty alternator by running at at full output for hours on end. All our sailboat engines ship with small case alts. Be sure to use a regulator that allows for a custom "current limiting" setting. The Balmar ARS-5 and MC-614 regulators fit this bill. Properly wire voltage sensing if you want fast charging. On 98% of "high output" alternator installations I see voltage sensing is incorrectly wired thus sending the regulator into CV/voltage limiting far earlier than it should be. Improper voltage sensing robs you of the fastest charging potential.. Consider a serpentine/ribbed belt kit for the alternator. Dual belts will work too but they often wear unevenly and finding accurately matched pairs is getting tough. Alternator and charger wiring should be sized for the least voltage drop that you can reasonably attain. If using an alternator and external regulator utilize the bank sensing circuitry so the regulator can compensate for slight voltage drop in the system wiring, over current protection and terminations. Voltage sensing MUST be properly wire to positive and negative battery terminals..
Buy a "smart" charger that can remain in float even with "loads" on such as a fridge or one that allows a custom program for you to create a permanent "float" setting. Some have a power supply setting that permanently locks it in float mode. Currently only Lifeline AGM batteries can be "conditioned" or equalized. For this reason alone they are one of the best values in AGM but Odyssey and Firefly & Northstar are also excellent choices..
Know your SOC at all times. If this means buying a battery monitor and learning how to PROPERLY use it then this will be the best option for you. If you feel you can do it based on voltage alone be certain your are getting it right. A better alternative is a product that keeps track of your SOC without any human intervention such as the Balmar Smart Gauge. I am not trying to dissuade anyone, because there certainly are benefits for many users. I just happen to see a lot of boaters not taking advantage of the actual reasons why they bought them in the first place, except for a couple minutes saved per year on maintenance and the occasional battery on its side of fitment scenario. Be sure the choice matches your intended use. So what is the key take away here? I am sure this sounds like I never install AGM's but this could not be further from the truth. I install lots of AGM batteries. The difference is my customers have been educated on both the pro's and the con's of AGM's, for their application, so that when they choose them it is hopefully for the right reasons. The systems are then set up, designed and implemented as just that, a system. Many have asked me how I test AGM batteries, and my answer is that I physically capacity test these batteries at the 20 hour rate to BCI test standards. I do not rely on capacitance, internal resistance, pulsed load or carbon pile testing to determine Ah capacity because those testing procedures do not accurately represent, nor do they accurately translate to physical Ah capacity..
Below is a prime example of a Lifeline battery that has not had system approach care. This battery was installed in a small sailboat with a factory alternator set to 14.4V. The boat resides on a mooring and the owner had the battery monitor calibrated for 200Ah for the bank, the bank was two 100Ah Lifeline batteries. The other one tested within a few gnat hairs of this one.. This battery was a DJ date code installed in September of 2010. The battery, when capacity tested, performed at just a tad below 70% of its rated capacity. This at just 3.2 seasons of use. Industry standards consider a battery "dead" at 80% of rated capacity. I will not send cruising customers off-shore with any AGM battery testing below 70% of the "as new rating" as I have seen far to may sudden failures once the batteries get below this point. For a coastal cruiser I may let them go to 65% but with a strong warning. According to the owner this battery was fully charged each fall and stored in the owners basement. He claims it was topped up with a charger mid winter. The DJ date code sticker can be seen on the left of the battery case. Is this because Lifeline batteries are no good? Absolutely NOT! It is because they were installed as a "drop-in" replacement, fed crappy non-temp-compensated charging, chronically undercharged/PSOC cycled, fed a max charge rate of about .1C, and you simply can't do that and expect good cycle life. Please consider the actual physical condition of this 3.2 year old expensive battery when you decide you want AGM. They need to be properly installed, properly charged and properly taken care of or this is what you will get. Will Gilmore and Captain Larry-DH like this. Now that post is just flat depressing Maine. You are writing about my five AGM battery setup, one isolated 900CCA start battery and four for the house. I installed those in 2007 to get ready for life in the south. After eight years with Gels that were still going strong I had hoped for at least the same with AGMs. I kept the Gels up with shorepower(100 amp) and an old 55-amp alternator. Still using 100 amp charger, now about four hours a month on the hard(on the cold boat). But upgraded to Balmar 80 with 3-stage regulator. What can I expect in the spring when they are four years old? Sounds like you've been keeping them topped up so you will likely be fine. One common denominator is that many of the premature failures seem to coincide with banks not fully charged often. Gel batteries properly cared for are perhaps some of the longest lasting. 1- Fully charge after each discharge. (We understand that is not feasible [in our case].) Estimated life: 6-9 Years. Sadly a lot of sailors fall into scenario #4 when sailing off a mooring and only charging off an alternator. The addition of solar charging for mooring sailors can greatly increase AGM life expectancy. I read a post from you on a different site to the effect that Crown Wet Cells and US Batteries were just as good if not better than Trojan batteries and much cheaper. Wanted to check in and see if you still felt that way. I am going to replace my 6 year old (2) 4D batteries with (4) 6 volt 225 Ah wet cells. The Crown distributer is not too far from my home here in CT. The combined 450 Ah bank seems to work for me. When not sailing we are on shorepower with a Xantrex 25 inverter/charger. I also have a Balmar 120 Amp alternator. I don't mind topping off the electrolyte from time to time. Yes, I do still feel that way. I think the Crown is just a touch behind with Trojan & US just about equal or US Battery just barely leading Trojan but we're talking .001% type of stuff. Some products Trojan does better and some US does better. I do feel the US Battery 2200 is actually better built than either Crown or the Trojan T105 these days. It also has a higher antimony content than either Crown or Trojan as well. But what does "better built" really mean? That is mostly a personal comfort decision..
My buddy Dave is a distributor for Crown and he used be the Trojan distributor. None of his customers have complained about the quality of Crown or cycle life, and have been quite happy with the prices vs. Trojan. I also know a lot of folks using the Johnson Controls GC2's from Sam's Club who have had great luck with them with two going on their 6th season. This is a good battery but not a battery that is perhaps quite as well built as the other 3, but heck the price is only $72.00 each for 225 Ah's. It is my feeling that all 6V batts are built to compete in a highly competitive market where industry and golf courses spread sheet stuff such as life cycle vs. cost so they all have to be pretty darn good. Whether you buy US, Crown, Trojan, Exide, Johnson Controls, Deka or others the differences in construction are small differences, not huge, and ones that may not even be decipherable in real world use because that is what matters the most, how you care for them.. If you have a local Crown guy you trust, and he gives you a good price, go for it..
1) Shore charger: I like what I read about the newer Sterling chargers. If MS says they're good, I'll probably go that way, and get the 60 amp pro-nautic. I have an opportunity to pick up a Charles 5000 40amp pretty cheap, but I'm thinking I won't because it won't monitor battery temp and that's important for AGM's, right? 2) Alternator regulator: With only a 70 amp alt, should I even bother? I like what I read about the Sterling alternator to battery chargers (not the alternator regulators), because it seems to actually provide a real 3 stage charge profile. We are planning on trips down the ditch in the future and with that much motoring, I really don't want to fry my AGM's. I appreciate any advice here. Thank you for a thorough and incisive discussion. I do have a question, however, which pertains to the prolonged heeling tolerance of wet cell batteries and is athwartship or fore and aft orientation preferable? and is athwartship or fore and aft orientation preferable? You can find the answer on Maine Sail's website, just click on it in his signature on any of his posts above. Thank you, Stu and Mitienpo for your rapid replies. My batteries live in a unvented compartment under a berth. You can see quite a bit of damage done by battery fumes. The wood work is stained and the plywood floors of this space had to be replaced because it got quite soft. I assume because of fumes. I am considering going to AGM to avoid this. Does this make sense? All battery compartments, whether you have GEL, AGM or Flooded require venting... If you were gassing flooded batteries enough to cause that sort of damage you will also likely be gassing an AGM or GEL battery too. The idea that AGM batteries do not vent is untrue. Over charge them and they will vent, it is why the have "valves" to vent them so as to prevent the battery from blowing up.. When I bought the boat it came with a old ferroresonant charger. I suspect it was overcharging quite a bit. I replaced it with a 30 A Victron. The batteries still need a lot of water (1/4 liter every couple of months). I assume this water is getting gassed. Is that a lot? These batteries are near the end of their lives. Maybe this is why they need this much water. I will add a louvre vent to the compartment with the house bank. Then engine start battery will be harder to vent. I might be able to vent it behind some drawers. Maine, Any updates to this piece. I think there are plenty of others still unsire about AGM choices so your advise may help many. I’m replacing a Lifeline bank. It made it five years with lots of care so I’m not unhappy but going to try something else. I equalized it some but probably not often enough. Equalization takes a whole day. 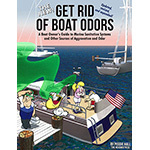 It’s tough enough to maintain a boat without more all day tasks. I’ve been waiting for Fireflys for three months. I now have a March date but leave for the Bahamas by then amd don’t want to go with the questionable Lifelines. 1. Trojan AGM. My starting batteries are these and they’re holding up great (although it’s not deep cycle so they should). Expensive - but cheaper than Firefly. 2. Duracel Deep Cycle AGM - just $179 at Sams Club. If they lasted even three years then I get the Firefly - maybe that’s a good middle ground. Deka Gel - I’ve had Deka Gels before. Know how to charge them. Always sold the boat before they died so don’t know how long they last but it’s long. It doesn’t seem that anyone buys gels anymore. Just sayin'. I have 3 gel house batts and 1 gel start battery. New in 2008. At last check in early January, still in perfect condition. I take care of them. Charge 'em. Don't ever discharge less than around 75%. A good friend is on his third set of 4 AGM batts for a 45 ft boat in the same period. About the same size as mine. I would not recommend AGM for folks interested in longevity. No, no, no!!!! These are NOT a deep cycle AGM and are some of the worst performing AGM batteries out there. See Practical Sailor April 2015 and Aug 2015 to see how they held up under PSOC abuse.. They only good use they have is as a starting battery. Deka GEL's are superb cycling batteries if they are charged correctly. No charging above 14.1V despite what the sticker on the battery says. GEL's can be ordered through any East Penn distributor or better yet order them, or the Sonnenschein Prevailer GEL's, from Lauderdale Battery. I have more GEL batteries out there exceeding 10 years old than any other chemistry. My buddy Bruce went around the world TWICE on the same GEL bank and he was discharging daily to 80% DOD or 20% SOC. Thought these Duracel AGM's were same as West marine dual purpose batteries, made by East Penn. I have the West Marine AGMs; 5 1/2 years old and still good. That's after running them down below 40-50% at least 2 or 3 times.